The discipline of philosophy covers the study of everything; from the study of knowledge, art, language, and the very nature of existence, to moral, ethical, and political dilemmas. Stemming from the Greek word philosophia (literally translating as “love of wisdom”), there isn’t much that philosophers haven’t disputed over the years. Despite this, there are many key debates and great philosophical mysteries that remain unsolved—and quite possibly always will. From Descartes’s discussions of knowledge and personhood, to Aristotle’s analysis of the nature of life and death, we’ve listed 5 of the greatest philosophical problems still contested today. What would make your list? The problem of free will arises when humans reach a stage of self-consciousness about how profoundly the world may influence their behavior, in ways of which they are unaware. The advent of doctrines of “determinism” or “necessity” in the history of ideas is an indication that this higher stage of awareness has been reached. Determinist or necessitarian threats to free will have taken many historical forms—fatalist, theological, physical or scientific, psychological, social, and logical—but there is a core notion running through all forms of determinism that accounts for their importance and longevity. Any event is determined, according to this core notion, if there are conditions (decrees of fate, the foreordaining acts of God, laws of nature) whose occurrence can impact events, i.e. “It must be the case that if these determining conditions jointly obtain, the determined event occurs.” Although this has been greatly debated, there is no common philosophical consensus disproving these concerns. Can we know anything at all? Formulating and responding to the challenge of scepticism (the view that we can’t know anything) is often taken to be the central problem of epistemology (the study of knowledge). The most prominent starting points for discussions of skepticism are the works of René Descartes and David Hume, although a more general skeptical argument is often seen in Sextus Empiricus’ Outlines of Pyrrhonism (arguing that we should withhold judgment on all matters of fact, because no matter how we reason for a judgment, there is an opposing judgment that we can reason for in a parallel manner). “Know” is the sixth most common verb in English, and although it is often used in sentences such as “I know how to ride a bike” and “I know your friend Jane,” a large chunk of its use is taken up by claims of knowing something to be the case. One worry about skepticism is that, if true, it would require a dramatic revision in the way we think and talk. 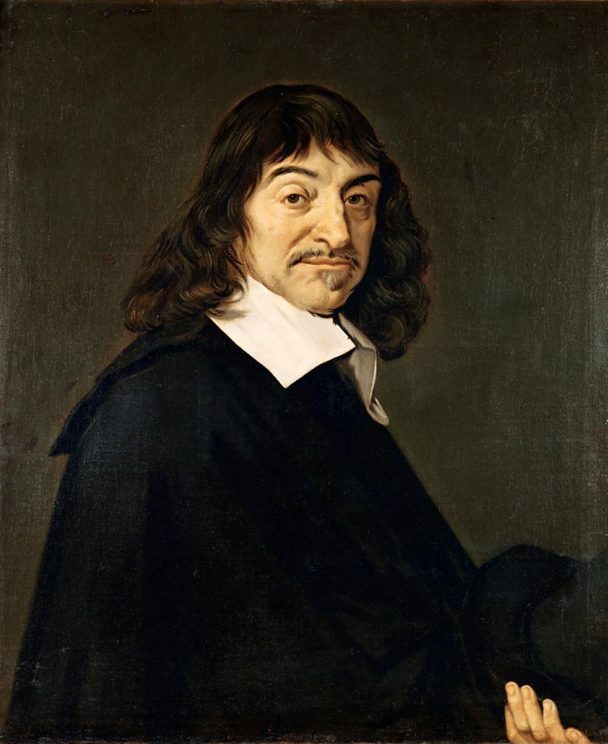 Portrait of Rene Descartes by Frans Hals, circa 1649. Andre Hatala, Louvre Museum, Public Domain via Wikimedia Commons. What is the relation between ‘my’ mind and body? Many philosophers have held a dualistic view of the relation between mind and body. There have been those (like Descartes) who ascribe mental attributes to spiritual substances which are supposed to be logically independent of anything physical, but inhabit particular bodies. Others, like Thomas Hobbes, have admitted only a duality of properties, ascribing both mental and physical attributes to human bodies. Others have presented an “ultimate category of persons,” differentiating them from physical objects just on the ground that they possess mental as well as physical attributes. If dualism is the best answer, most believe that the most defensible form would be that in which we admit only a duality of properties. Despite this, the problem of showing how these combine to characterize one and the same subject has not yet been adequately solved. It seems reasonable to say both that a creature dies when its life ceases, and that it dies when it ceases to exist. However, to understand death, we must first grasp how it is related to life and to the persistence of living beings. Here the philosophy of death intersects with the theory of personal identity, but philosophers haven’t yet reached agreement about what it is to be alive. According to Aristotle, something has the property “alive” if it has any of the typical capacities of living things: nutrition, appetite or desire, growth, reproduction, perception, motion, and thought. Nevertheless, non-living devices could hypothetically do many of these things. As for our identity over time, some philosophers have suggested that our persistent conditions are in part determined by our own attitudes, making it (at least theoretically) possible to survive death. What would “global justice” look like? In Shakespeare’s Merchant of Venice, Shylock makes a demand for a pound of his delinquent debtor’s flesh in the name of justice. Until the clever Portia finds a device for voiding the contract, the presumption is that it must be granted. Conceptually, demands of justice are the hardest to outweigh or suspend. But to this day, there is no universally accepted theory of justice. Increasing political and economic interconnectedness (especially with regards to current humanitarian crises) draws much philosophical attention to this notion, asking if claims of justice arise only among those who share membership in a state. Alternately, do they apply among all human beings simply because they are human? Inquiries into “global justice” differ from those into “international justice” precisely by not limiting inquiry to just what states should do. They also question the very moral acceptability of states and explore alternative options. Featured image credit: Le Penseur (The Thinker) by Auguste Rodin, taken in front of the Legion of Honor museum in San Francisco, California, 2012. Drflet, CC BY-SA-3.0 via Wikimedia Commons. 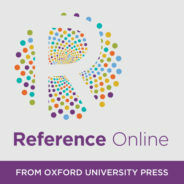 This blog post features content from Oxford Reference, Oxford Bibliographies, and Oxford Handbooks Online, three of OUP's many online reference platforms. I just want to know…what is wrong with Ayn Rand’s Philosophy of Objectivism, because I think it is true and quite good. Every one of these questions is secondary to the question of God. Taking a Kantian (Copernician backed) view, and tabling the interrogative, ‘what are the conditions for the possibility of experience?’, the above five philosophical issues are evaluated with increased conceptualized scrutiny. Closer examination of the ‘free will’ issue, for example, might query the appropriatnes of the word ‘free’. By contrast, we are all comprised of varying recipies of deterministic thought and behavior. We might wonder what quantitative remaining percentage of ‘free will’ could exist in in our limited ‘hardware and software’ to justify the ‘free will’ consideration? Returning to Kant, he argues that we don’t know (posess sufficient supporting details) that ‘free will’ exists. This would appear to entail that that we can only ‘imagine’ its necessity. Supraversalism addresses several of these questions (www.supraversalism.org). There are two realms: the dimensional, limited universe, and the dimensionless, limitless supraverse. There is a supraversal spirit (some call God, Allah, Brahman, etc. ), a universal spirit (some call The Holy Spirit, Advaita, Buddha Nature, etc. ), and the human spirit (soul, Atman, or Kant’s doppleganger, etc.). Regarding “Free Will” vs “Determinism” – we experience both at once, exercising free will to collectively choose which pre-determined universe we will all experience. IF logic is a valid construct, then we can’t know anything for sure because we can’t escape the limits of our humanity to verify such absolute knowledge. What is an intelligent being? A being that has a certian type of behaviour towards an external stimuli can be considered as an intelligent being. Because it knows how to and in what way to react. So the basic definition of an intelligence can be associated with behaviour and patterns. A white blood cell knows that it should attack the viruses or bacteria without taking advice from your brain its an involuntary process. So you can say that a white blood cell is also an intelligent entity. A light can travel into waves or in particles. So even light has a certain kind of behaviour or pattern to it. Hence it has a sense of intelligence to it. In quantum super position a particle can exist here and there at the same time. And it has a certain kind of behaviour. Hence we can conclude that it has an essence of intelligence to it. If the quantum world can be intelligent then i can conclude that even the non physical universe is intelligent. Because of that universe all these things are taking place and are existing in perfect harmony with each other. So here we can see a behaviour and patterns relationship. So from human scale to quantum scale everything has a behaviour. And everything has an essence of intelligence to it. So the question here is to what extent a thing is intelligent. You cannot differentiate between the humans intelligence and dogs intelligence, both are same kind of intelligence just the thing they both have different bodies to be aware of it. So one thing is more aware of the intelligence and the other thing is less aware of that intelligence. So what i think that intelligence is the product of conciousness. And awareness is the product of intelligence. So basically awareness and intelligence are not conciousness, they are the product of conciousness. To understand awareness is to understand intelligence and to understand intelligence is to understand conciousness. So awareness and intelligence can vary in terms of quantity but not in terms of quality. The only way to be aware of that intelligence is to realise it, that way you will understand what conciousness is. Because intellect can only gather and know things it can never understand things. It only knows how to dissect everything. 4:situation when someone couldn’t find wisdom before the game is over.